One of NuTonomy&apos;s driverless cars on the streets of South Boston. 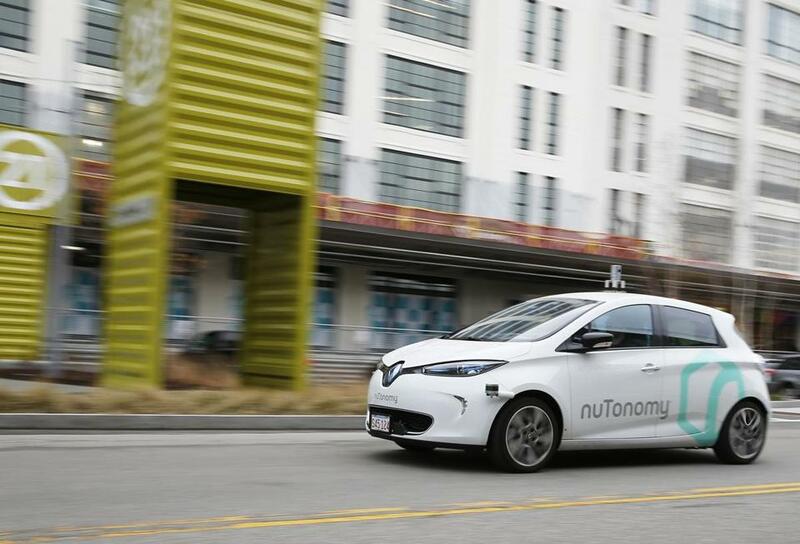 NuTonomy, a small Boston startup that makes software for self-driving cars, has launched a research-and-development partnership with San Francisco’s Lyft Inc., the second-largest ride-hailing company in the United States. NuTonomy was founded by Karl Iagnemma, a robot scientist at MIT. Last year, in Singapore, the company launched the world’s first taxi service using self-driving vehicles. This year, nuTonomy has begun testing cars in Boston’s Seaport and Fort Point neighborhoods, using electric cars from French automaker Renault. Lyft engineers will now participate in that research, figuring out how to integrate Lyft’s smartphone app with the autonomous car’s software. “We don’t really know how riders are going to interact with autonomous vehicles,” said Iagnemma, “because we really haven’t had that much experience.” Together, Lyft and nuTonomy will learn how to manage the entire process, so that consumers will feel confident that self-driving vehicles are safe. Lyft’s main competitor in the ride-hailing business, Uber, has been testing a controlled self-driving service in Pittsburgh since September 2016, giving it thousands of hours of real-world customer interactions. Lyft and nuTonomy, meanwhile, have already begun to integrate their software and, once complete, will begin offering rides to paying customers in the self-driving cars. No date has been selected for the launch of the service, which must first be approved by the city of Boston. Lyft’s other self-driving vehicle partnerships are with much bigger allies. The company is working with General Motors Corp., which invested $500 million in the ride-hailing company. GM also spent about $1 billion to acquire the self-driving software company Cruise Automation. In addition, Lyft last month struck an alliance with Waymo, the self-driving car company owned by Alphabet Inc., parent company of Google. But nuTonomy has already shown it can punch above its weight. Last month, it announced a partnership with Groupe PSA, maker of Peugeot automobiles and Europe’s second-biggest carmaker. “NuTonomy has quite a bit to gain if they can hook up with Lyft,” said Roger Lanctot, an associate director at Newton research firm Strategy Analytics. Lanctot said that Lyft is working with three partners because it offers the best chance of catching up with similar research being undertaken by Uber, the top ride-hailing company. In addition, he said the deal would give Lyft “a little bit of business insurance,” because both Waymo and GM may well start ride-hailing services of their own. For Lyft to fend off such massive competitors, “there’s clearly a perception that they need their own platform.” Lanctot said that nuTonomy could provide Lyft with the technology it will need to remain independent. 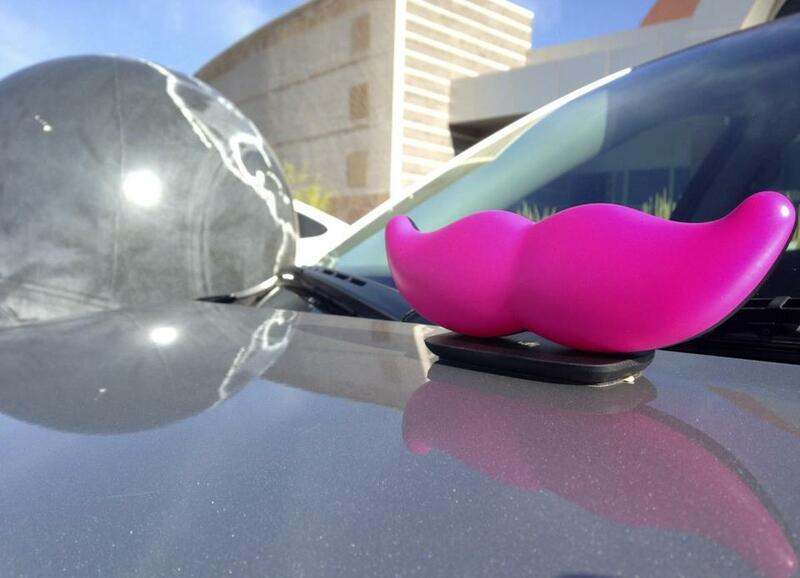 The signature pink mustache of ride-hailing company Lyft.